Tokyo is the incredible capital city of Japan. The city houses 35 million people and a plethora of attractions to suit any tourist’s needs from food, architecture, temples, gardens and cultural experiences. 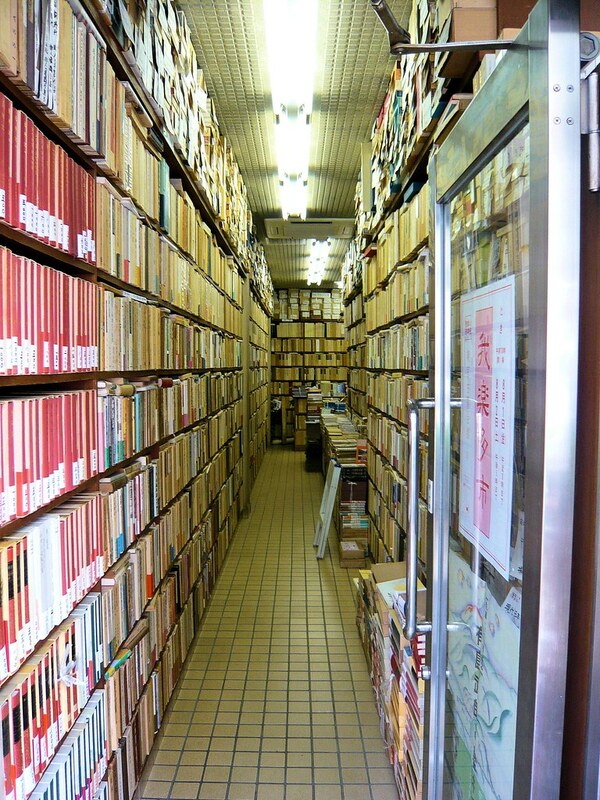 To the delight of bibliophiles, Tokyo is also home to numerous mentionable bookstores. Jimbocho is a district within Tokyo that is dedicated to used books and publishing. “Booktown” is a place of pure heaven for book lovers. Jimbocho is named after a high-ranking 17th century samurai, Nagaharu Jinbo. In 1913, the town that is surrounded by three of Tokyo’s most prestigious universities was destroyed by fire. The first building to rise from the ashes of destruction was a bookstore, which eventually turned into the Iwanami Shoten publishing house. Today, Jimbocho boasts around 175 bookshops, with around 50 devoted purely to used and rare items. The variety of such stores is incredible. Some stores specialise in manga, new books, used and rare collectibles, academic and scholarly books, and pop-up stalls that appear over night. The famous manga publisher, Shueisha, is also located in Jinbocho. The entirety of Japan is pressured for space availability and Jimbocho is no exception. The bookstores here are crammed from floor to ceiling with books, and many of them have books spilling out the front door and onto the streets. Intelligently, most of the bookstores located here face north to avoid exposure to direct sunlight and too much heat, therefore protecting the life of Jimbocho’s books and literature. As one of the first bookstores to be rebuilt after the earthquake in 1923, The Isseido store houses a treasure trove of rare books, some of which are priced at figures of $40,000. The owner, Takehiko Sakai, the grandson of the founder, and manager Tokuei Ueda stock many amazing books, scrolls, maps, and manuscripts. The business was founded in 1903 by Ukichi Sakai in Nagaoka but later moved to Tokyo where it there had to survive the great fire, a major earthquake, and World War II. Owned by Kazoo Namikawa, Ogawa Tosho Ltd is one of the most important specialists in British and American literature. It houses many scholarly editions and rarities including rare Western works on Japan, philological items, and dictionaries. This bookstore is owned by British ex-pat, Nick Ward. It is a bookshop containing texts in the English language and combines two of the greatest things in life: books and beer. The store specializes in out-of-print books, rare and general books, and first editions whilst supplying a bar with shelves on either side. This is a perfect place to discuss books and literature over a few pints. More than just a bookstore, Infinity Books hosts live music, readings, and even the occasional burlesque! This is definitely a bookstore that I want to add to my “to visit” list! For English readers, it is often difficult to get acquainted with the idea of reading a book “backwards” because in Japan, the start of the book is what Westerners would recognize as the end of a book. But once you get the hang of the notion and stop reading the last page, which is the first page, and ruining the ending, which you think is the beginning, every time you pick up a book, or continuously read the last page you just read because you flip the page forward instead of backwards, reading and bibliotourism in Japan can be a fulfilling adventure. Japan is a place full of districts devised of many different themes: from traditional, to Harajuku, to books. Jimbocho is certainly a place that I want to be.